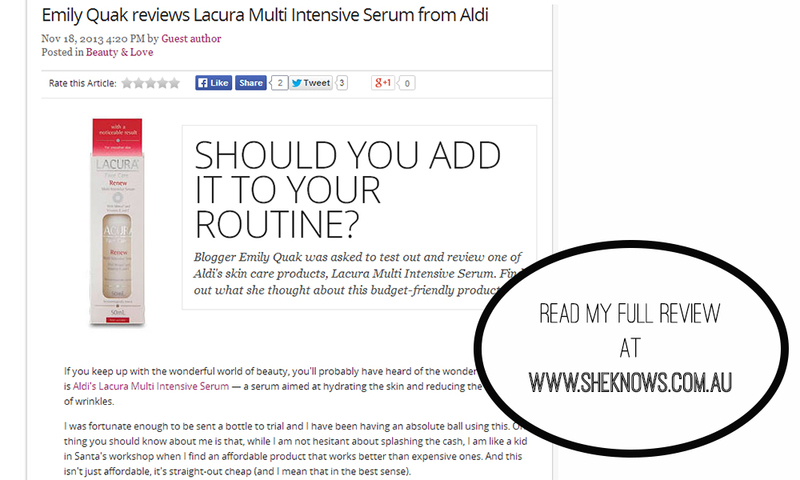 I posted on social media recently that I was invited to review a cult serum from Aldi - the Lacura Multi Intensive serum. This incredibly affordable serum is famous worldwide for its price point and the fact that it has been said to rival luxury products, which are easily over 10x its price. I was extremely excited about it and want to share my full review with you all. So if you're interested in this wonder serum, please hop on over to the SheKnows website, where my review is. If you have any questions and comments about the serum, just let me know!